Welp, you'd likely have to sell the rest of your collection (and possibly take out a new mortgage) to buy these, but you'd still have a pretty amazing collection (and it would take up a lot less space). 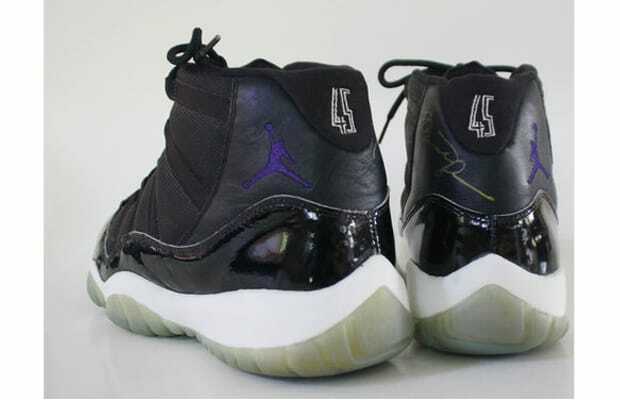 Not just Space Jam XI samples with the 4-5, not just Space Jam XI samples with the 4-5 that were worn in the '95 playoffs, but Space Jam XI samples with the 4-5 that were worn in the '95 playoffs that were in turn signed and given to Nick Anderson. Now that's provenance.